You are here: Home / Blog Reviews / The Slovak translation of The Almond tree is being released. Here is an interview by a Slovak book blogger about The Almond Tree. 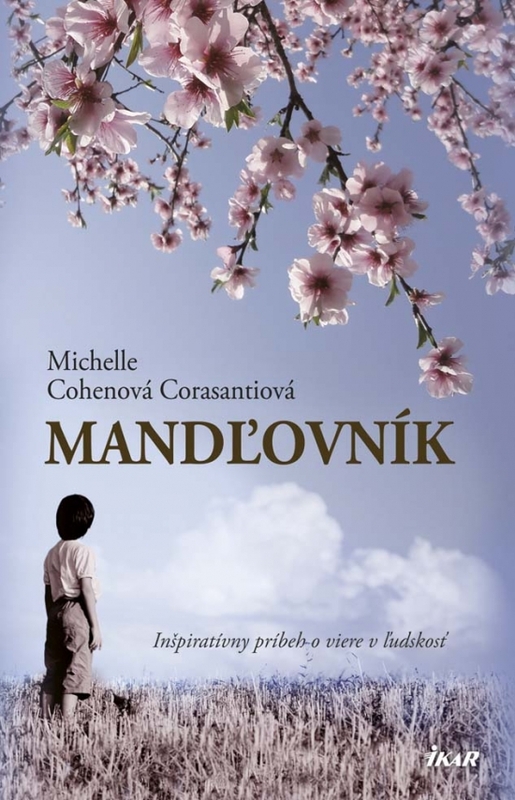 The Slovak translation of The Almond tree is being released. Here is an interview by a Slovak book blogger about The Almond Tree. Hello Michelle, thank you for agreeing with the interview. Can you describe the feeling of your books being translated in foreign languages? I’m so humbled. When I wrote The Almond Tree, my target audience was Americans in general and Jews and other Zionists in specific. I wanted to put the reader in my shoes and show him what I witnessed and learned during the seven years I lived in Israel. While the rest of the world seems to be more knowledgeable about the truth, we Americans tend to be the last to know. Much to my amazement, the world was interested in a Jewish American woman becoming a Palestinian Muslim male. Ironically, shortly after The Almond Tree came out, President Obama made a speech to an auditorium filled with Jewish Israelis and said that they should try and put themselves in Palestinian shoes. It’s much easier to resolve a conflict if you try and put yourself in the others’ shoes. Your book The Almond tree is based on a real-life events. Was it hard for you to write such story? I’m from a Jewish Zionist family in a small town in Upstate NY. After I went on a school trip to Italy and Greece, I decided I wanted to see the world. I suggested to my parents that I travel to Paris. They said no, but I could go with our rabbi’s daughter to Israel. We were taught that the Jews found a land without a people for a people without a land and that Arabs/Muslims/Palestinians hate us because we are Jewish and for no other reason. We were taught that we were always the victims. The hardest thing for me was to witness that everything I had been taught was a lie. I went there believing we were the good guys, the victims and returned having witnessed that we were in fact the victimizers. When I returned to the US, I tried to tell everyone what I witnessed, but no one cared. There was nothing that could be done. In the end, I tried to bury everything and just be a normal American. That worked for a decade until I read The Kite Runner and realized that a writer can reach into readers’ hearts and change them. When I began writing The Almond Tree, I had a decade to recover from and digest what I witnessed and learned. I was just so thankful that I found a way to put readers in my shoes. I was much too emotional and affected when I first returned from Israel to write The Almond Tree. I needed a decade to gain perspective. That became very apparent to me when I wrote the last forty pages of The Almond Tree that takes place in Gaza. That was the only material that I didn’t have a decade to digest. I had to do massive research. It took me two years to write those forty pages because I was so afraid that I wouldn’t shine a light on all of the horrors that my writing became too overwhelming to the reader. Finally, an editor told me less is more and that if I just give the reader a feel for the situation, that would be more powerful. Ahmed, my protagonist because at Harvard I met and married a man like him whose father went to prison when he was twelve. He had to support his eight younger siblings and illiterate mother, but because he was so brilliant, he was able to go on scholarship to university. I saw the one room hut that he grew up in and was in awe of what he was able to achieve. For me, success isn’t only about how far one reaches, but also the distance one must transverse to arrive there. How much have the real-life events affected your story? I can’t think of anything in The Almond Tree that isn’t fictionalized reality. Are you working on a new book? If so, can you tell us something more about it? I’m just about to complete my next novel. Ester Jabotinsky, born to wealthy Jewish parents at the turn of the 20th century in Odessa, loses everything when the Communists take over Russia. She is forced to flee to Palestine. There, she falls in love with Yusef Rahman, a Palestinian man, but is forced to marry within her faith. Their forbidden love endures, leading to tragedy that will haunt her for the rest of her life. In 1990, when Rebekah Rose, a Jewish American, meets Amir Hamid, a Palestinian from Israel, she knows instantly that he’s the only one for her. Can their love overcome history, politics, religion and hatred? And what of the secret that ties these two stories together? Thank you so much for the interview Michelle. Lastly, do you want to tell something to your Slovak readers? In my novel, I am the almond tree, the witness and I wrote it because I believe that silence should never be a response to violence. The lessons I learned from the Holocaust were that we can never be bystanders to human suffering and that never again should mean for any people, ever.